Why not have some fun designing Monster Christmas presents? Here’s a new activity you can do in school or at home. 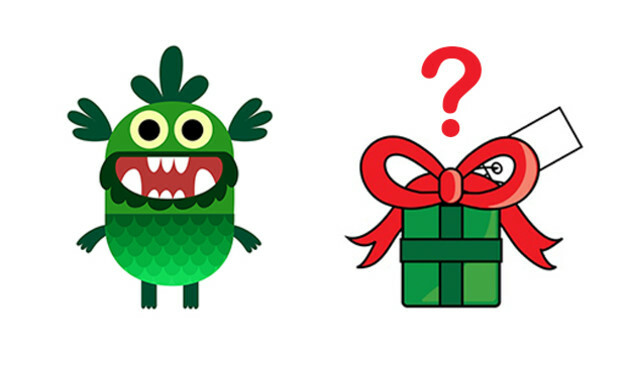 What present would you give the monster? What do monsters need? Do they need a new outfit, a way of talking to other monsters, a new toy or something to help them? Can you draw our monster a Christmas present? You will need to tell us what it is and how the monsters would use it. Email your presents to [email protected] by 24 December 2012 and we’ll award the designers of the most imaginative Christmas presents with some Usborne books. Our latest blog post is by Corinne Clark, who teaches at a primary school near Melton Mowbray, UK. She has written about her experiences using Teach Your Monster to Read with her class. I first introduced Teach Your Monster to Read to my class at the beginning of the school year. I initially showed it to them on the Interactive Whiteboard, we chose our monster together and played the 1st few levels. It was interesting that the children all joined in saying the sounds, and cheering when we won our prizes. I then had to teach them individually to log on to their computers. I made a card for each child with the network password, website address and their own log on details on it. This means that I can prop their card on the computer and they know who is ‘playing’, and they are increasingly able to log on independently, with the more ICT literate helping the others. 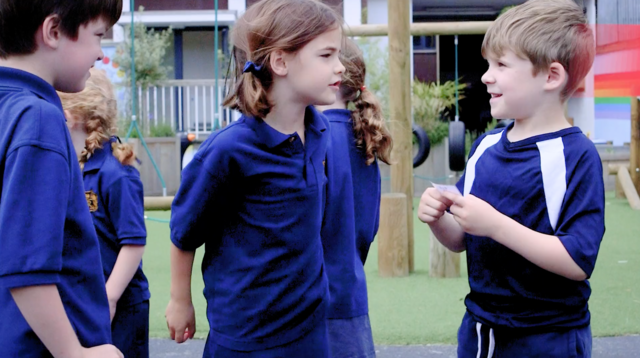 I often set the children playing the game as morning work – the doors open at 8.45am, but Phonics starts at 9.15am, thus giving the children up to half an hour to play. It’s good reinforcement of the phonics, obviously, but it also helps improve their ICT skills. Occasionally, we will use it as independent work during Literacy, or have it available during play. During our Phonics lessons, we have an orange monster puppet, ‘The Phoneme Monster’, who sounds out words, segmenting them or eating the appropriate graphemes (spitting out the incorrect ones). We also have another puppet, ‘The Word Bird’, who blends the sounds together again. They make quite a team, and the children love it! I think my favourite thing about Teach Your Monster to Read is that it works! The children enjoy playing it, and it reinforces their learning. I am hoping that, as well as doing a topic on Monsters in June, linking the idea of monsters making a range of real and unreal words, it will help prepare them for the Y1 Screening test. Time will tell! 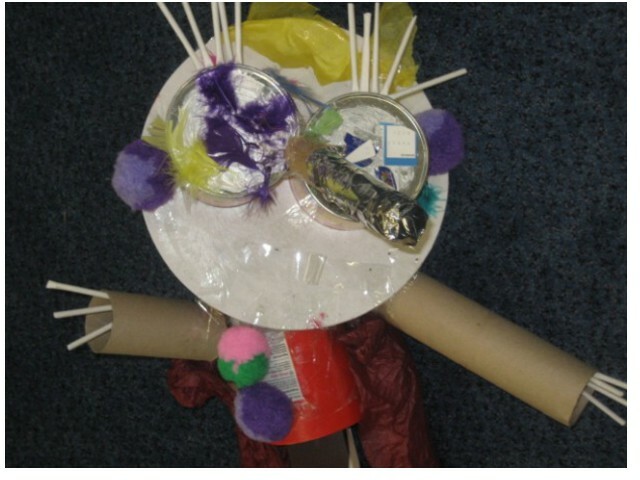 The image above is of ‘Scary Larry’ – a monster created by a pupil at Corinne’s school. We had an exciting day yesterday looking at a few of the prototype designs and games for Teach Your Monster to Read 2 (current working title: ‘Fun With Words’). 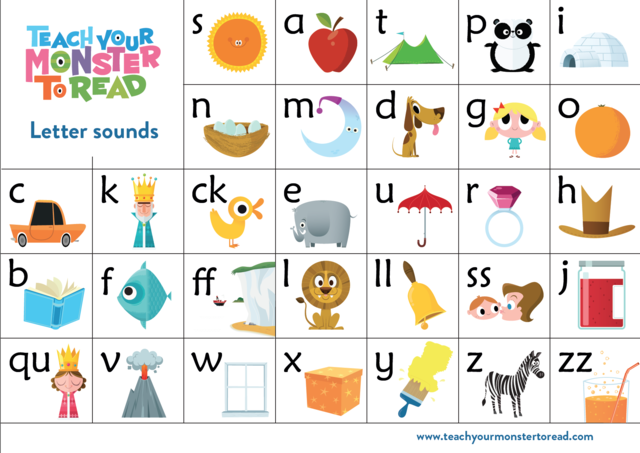 The new game focuses on Phases 2 – 4 of the Letters and Sounds scheme and will be covering blending and segmenting words, as well as reading simple captions. It’s really exciting to see the new games taking shape; they include a speedy letter grabbing space race, a parachute jump and a hungry word eating Monster! In the new game, our Monster will be journeying to new lands, finding treasure and meeting other characters along the way. Above is a sneaky peak at one of the beautiful game illustrations for the Monster’s journey, designed by Rich Wake. 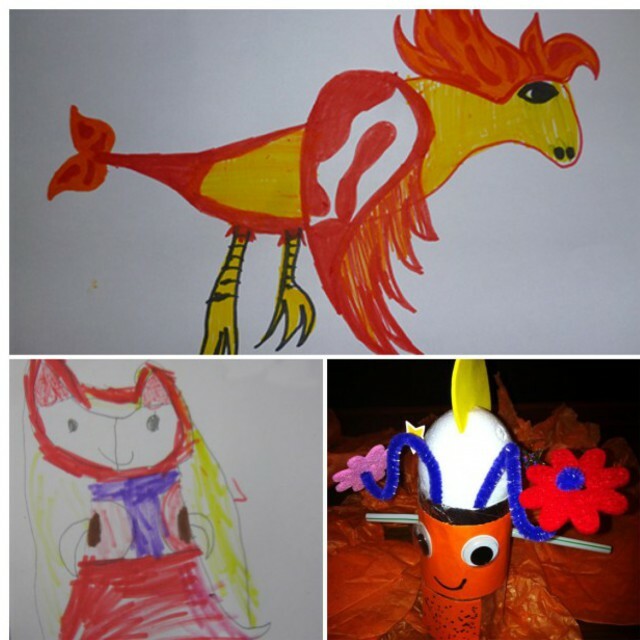 We’re delighted to announce the winners of our Draw a Monster Competition. Hooray! First Prize goes to Sophie for the beautiful winged monster above and our runners-up prizes go to Skye and Jed for creating these two cheery and colourful monsters. Cathy at NurtureStore and her daughters had the task of picking out the 3 worthy winners, based on which of our whopping 140 entries they would most like to have as a pet. Not an easy task I imagine! Congratulations to Sophie, Skye and Jed on winning the competition. Your prizes (a stack of Usborne books) will be sent out to you this week. THANK YOU for the many wonderful and creative entries we received, the sheer talent and imagination out there is astounding! We’re Finalists in the BETT Awards! Exciting news just in – Teach Your Monster To Read has been nominated for an award! And it’s a good one, too. We’re delighted to be in the running for a BETT award, which recognises excellence in ICT educational resources. We’re up for the ‘Early Years Digital Content’ gong, and we’re honoured to be mentioned in the same sentence as some of the other nominees. 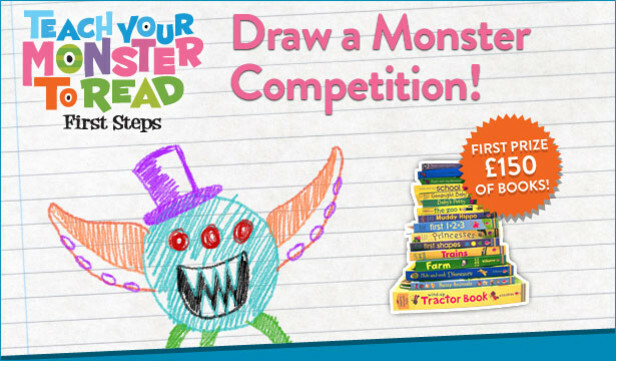 It’s Halloween, it’s half term, so what could be better than a monster drawing competition? We really love monsters here at Teach Your Monster to Read and we’d love to see your little monsters’ monster designs. We’re giving away £200 of Usborne books to the monsters our judges would most like to have as a pet. For a chance to win, we’re asking children to draw (or paint or build) a monster and send a photograph of the finished work to go in our online gallery. The monster can be one from the Teach Your Monster to Read game or from your imagination – it can be friendly, spooky, scary or silly! Our judges will be Cathy James from www.nurturestore.co.uk plus her two daughters – they will have the hard task of choosing the winning pet monsters. * Subject to availability, of course! Deadline is 5pm on Friday 9th November 2012. If you’d like to send your child’s first name and their age along with the entry, we’ll add it to the gallery alongside their picture, but please only do this if you’re willing for us to show these in the gallery. 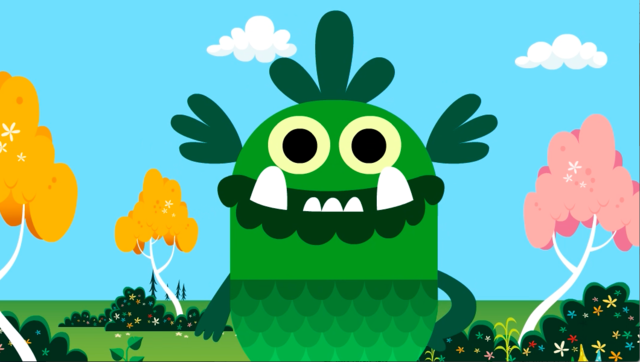 Welcome to our shiny new Teach Your Monster to Read blog. This will be the place where you can find helpful hints and tips on the game, where we share updates about our future projects and game development, and it’s also a space to share your player stories from school and home. We’re also hoping to discuss some of the latest issues surrounding technology and teaching, reading and literacy, gaming in education and parenting young readers. When it comes to helping children learn to read, it’s useful to have a few different tools to hand. Here are 5 resources to help! Want help with a specific grapheme or letter sound? Check out the practice mode on the app (for phones and tablets) or digital flashcards (for PC and laptop). 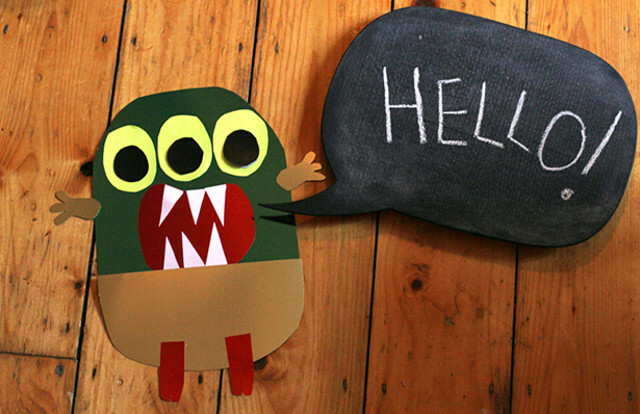 Print our flashcards or display materials, complete with colourful monsters! Get phonics-fit by playing pass-the-sound relay race, or one of our other physical phonics games. Our animated phonics songs are specially designed for revising and teaching letter-sounds. Got a phone or tablet? Download all 3 games for just £4.99 on your iPhone, iPad, Android or Amazon device. Practice mode included. Enjoy teaching your monster to read!